BEIJING, Jan. 22 (Xinhua) -- Throughout human memory, the bandwagon of economic globalization has generally been rumbling forward, bringing people across the world ever closer for enormous shared benefits, whether it is powered by animals or algorithms, combustion engines or computers. Ninety years ago, Herbert Hoover won the White House by promising higher tariffs to protect America's farmers in a world clouded by trade protectionist practices. Ten months into his presidency, the Great Depression struck. The Smoot-Hawley Tariff Act Hoover signed the next year prolonged the financial meltdown, further fueled protectionism worldwide and exponentially deflated global trade. Economic globalization suffered a severe setback. 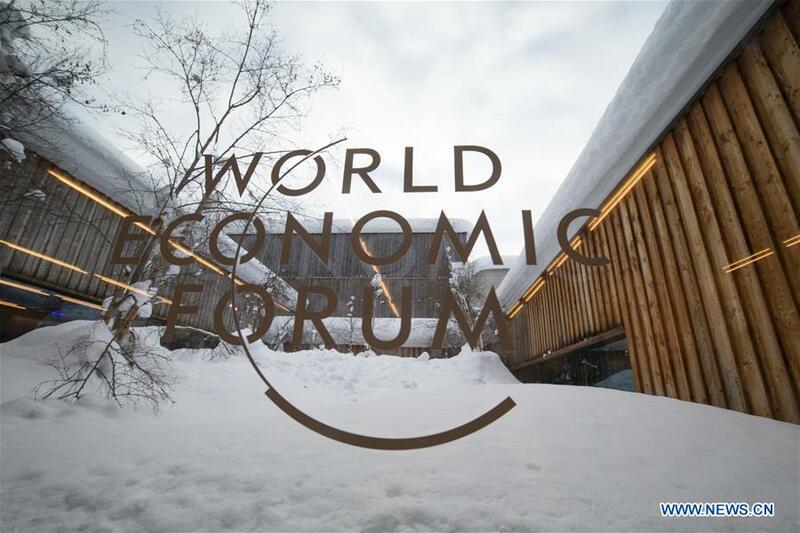 Against this backdrop, the 2019 World Economic Forum (WEF) annual meeting opens on Tuesday under the theme "Globalization 4.0: Shaping a Global Architecture in the Age of the Fourth Industrial Revolution." When Chinese President Xi Jinping spoke at the WEF in Davos two years ago, he talked about "a world of contradictions," and warned against protectionism and trade wars. China once had its doubts about economic globalization but it made a historical choice to ride the unpreventable tide and opened up to the outside world at the end of the 1970s. After 40 years of reform and opening-up, China has now become the world's second-largest economy with a total trade volume of import and export goods of over 3 trillion U.S. dollars. "We have had our fair share of choking in the water and encountered whirlpools and choppy waves, but we have learned how to swim in this process. It has proved to be a right strategic choice," Xi told the Davos forum participants two years ago. That is the very reason why China has worked so diligently in reducing poverty and went ahead with broader and bolder reforms. In April last year, Xi announced at the Boao Forum for Asia in China's Hainan Province a wide range of reform measures, including significantly cutting tariffs, broadening market access, creating a more attractive investment environment, strengthening the protection of intellectual property rights and expanding imports. At such a critical juncture for the global community, choosing the right course for economic globalization will have significant and far-reaching implications for the world's future. Just as Xi said at Davos: "Whether you like it or not, the global economy is the big ocean that you cannot escape from." Globalization can never be perfect. It destroys and builds at the same time no matter how it evolves. The globalization 4.0 that this year's WEF focuses on is no exception. The only question that matters now is how the nations of the world choose to act so that they can better harness the forces of globalization for the good of all. Remember, backpedaling should never be an option.